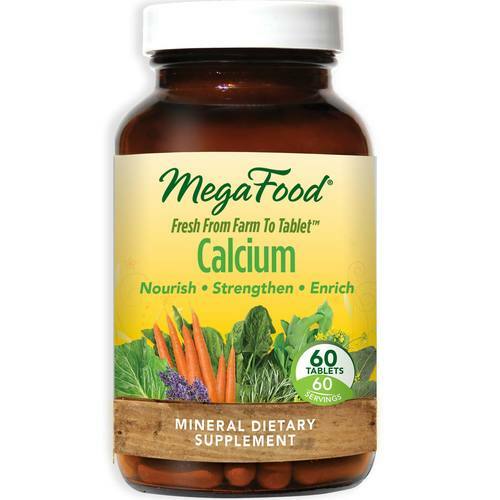 Calcium by MegaFodos is a whole food mineral based product. Warnings: Keep out of reach of children. Do not take more than recommended. Consult healthcare provider before use. Notes: Free of preservatives, gluten, dairy, soy, pesticides, herbicides, corn and wheat. Non-GMO. Recommended Use: Take 1 tablet daily. May be taken anytime throughout the day, even on an empty stomach. The customer reviews posted below are based on individual consumer experiences and may NOT necessarily represent what expected results will be from using or taking MegaFood Calcium 50 mg - 60 Tablets. These results may not be typical and you should not necessarily expect to receive the same results. Actual results may vary.